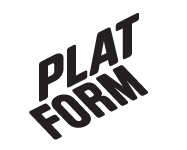 October 2010 – Platform r.f. Stefan Constantinescu, artist and film director, will present two film projects, Troleibuzul 92(8’00) and My Beautiful Dacia (72’00). He will also talk about an ongoing group project, The Iron Curtain, a box of memory, which is done in collaboration with Xandra Popescu, who will be present as well. Stefan Constantinescu is a visual artist and a film director. In 2010 he participated at the Bucharest Biennale 4 where he presented the installation “An Infinite Blue”. In 2009, he represented Romania at The Venice Biennale, with the films “Passagen” and “Troleibuzul 92″.”My Beautiful Dacia” that is co-directed with Julio Soto, is a portrayal of Romania’s transition from Communism to Capitalism through the story of the Dacia automobile, an emblem of Communist Romania. The film’s premiere was at the Montréal World Film Festival and in 2010 the film was awarded the second prize at the Documenta Madrid Festival. In 2008 he conceived “The Golden Age for Children”, a pop-up book about the last 20 years of the communist regime in Romania. He is currently working on a series of fiction films “7 Nuances of Gray” and the group project “The Iron Curtain, a box of memory”. Stefan Constatinescu lives and works in Stockholm and Bucharest.